Top-Rated Drain Cleaning Near Plymouth MI - Associated Plumbing & Sewer Service, Inc.
For The Leading Drain Cleaning In Plymouth, There's Associated Plumbing & Sewer Service, Inc.! 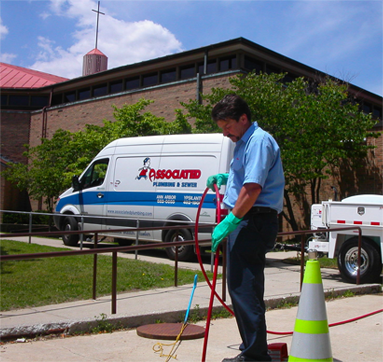 We employ some of the most experienced and skilled drain cleaning specialists near Plymouth MI. Drain problems often start small, and with the aid of Associated Plumbing & Sewer Service, Inc., they will stay small. For more information about drain cleaning and plumbing services in Plymouth MI visit our website or call today.